Around 1,100 pilots belonging to crisis-hit Jet Airways’ pilots body National Aviator’s Guild (NAG) have decided not to fly from 10 am on Monday in protest against “non-payment of salary dues”, a source said on Sunday. “As of today, we have not been paid for nearly three-and-a-half months and we don’t know when we will be paid. So we have decided to go ahead with our call of no-flying from April 15. All 1,100 pilots of NAG will stop flying from 10 am on Monday,” said a Guild source. 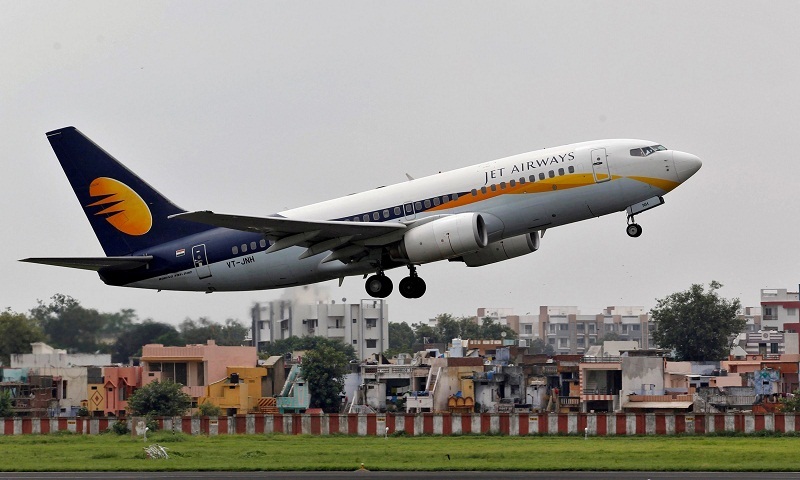 Jet Airways is at present under the management control of SBI-led consortium of lenders after the approval of a debt-rejig plan last month, which also led its founder chairman Naresh Goyal to quit, reports PTI.